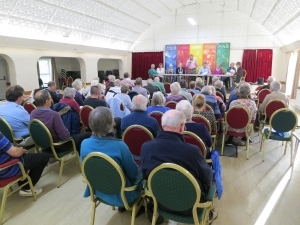 Radley Village Shop opened on 22 May 2007. 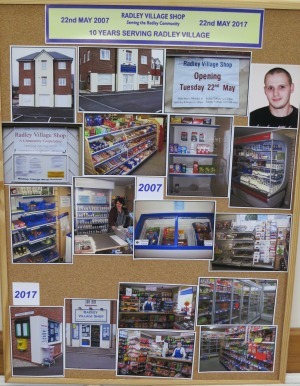 Ten years on, the shop is thriving and is a key part of the community. 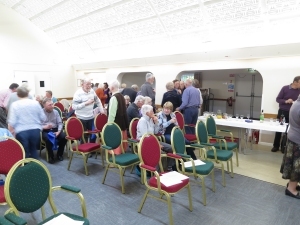 The celebrations kicked off with an invitation to shareholders of Radley Village Shop Association, current volunteers and past volunteers to come for drinks and nibbles in Radley Village Hall after the AGM on 10 May 2017. 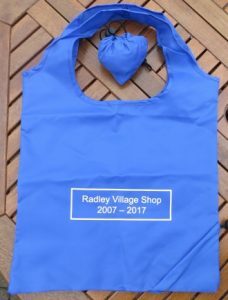 To thank shareholders and current volunteers for their continuing support and loyalty to the shop, the shop has given them a blue foldaway shopping bags printed with ‘Radley Village Shop 1997 – 2007’. 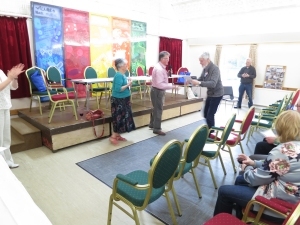 Current volunteers have also received a £5 gift voucher to spend in the shop as a token of appreciation. 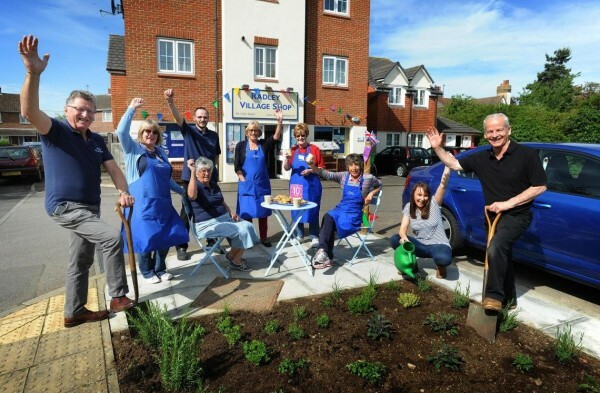 The herb garden was donated and planted by Lucy Wood and her father, David Mulholland, who lives in Radley.